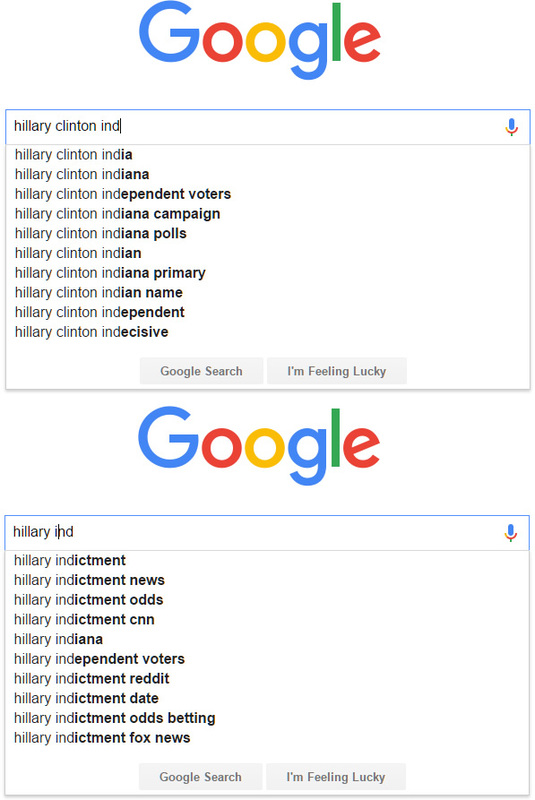 There are several problems with this reasoning, and a more apples-to-apples comparison reveals no such preferential treatment for Clinton (nor any other candidate for that matter). 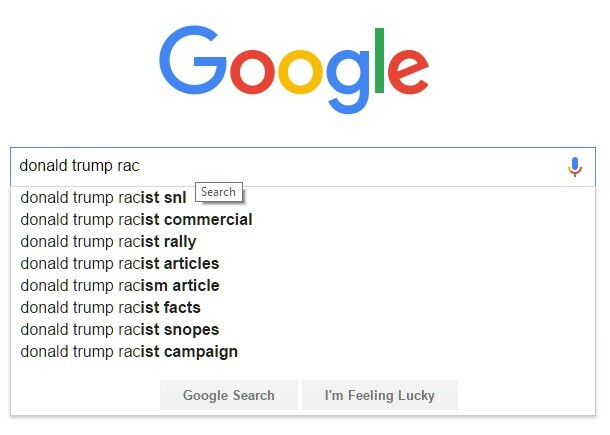 The SourceFed video makes the claim that an initiated search for “Donald Trump racist” does indeed show negative suggestions. 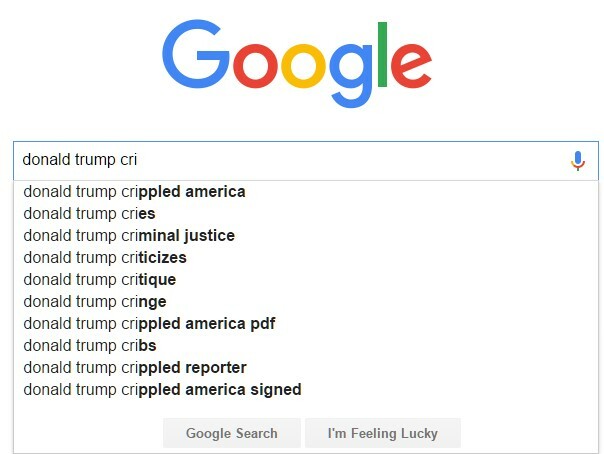 This is peculiar since the top suggestion is an SNL skit. 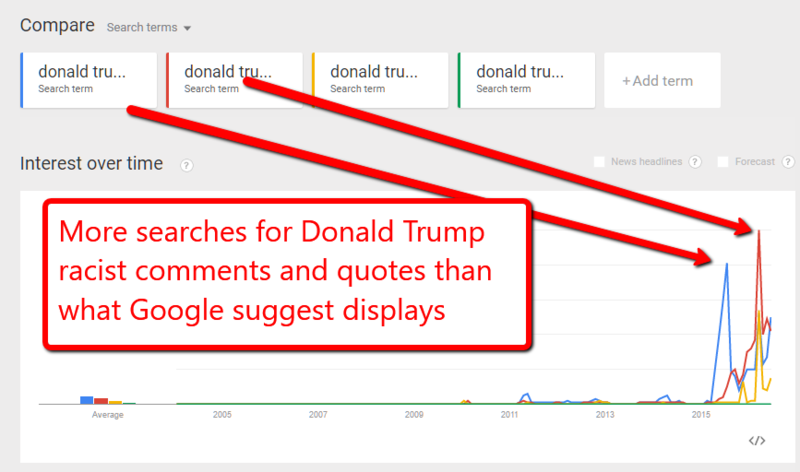 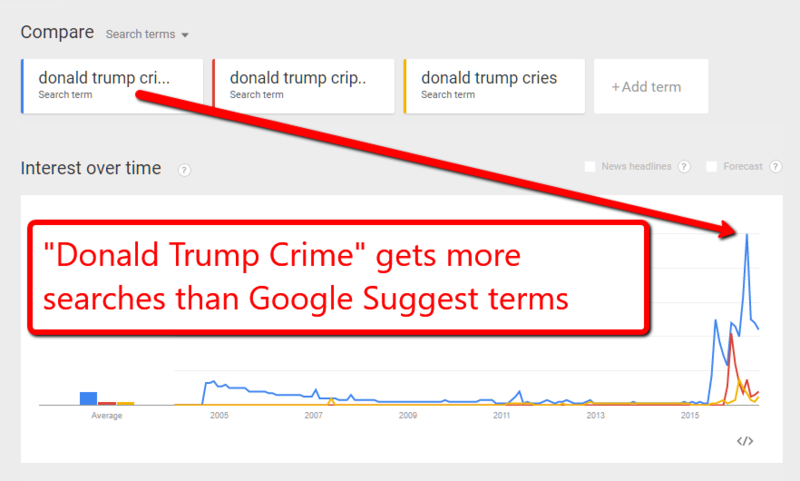 What’s more is that Google Trends also shows more searches for phrases like “Donald Trump racist quotes” and “Donald Trump racist comments,” none of which appear in Google suggest.